I’ll keep the intro to this short and sweet, as by the title you’ll know it’s mini review and first impressions of things I’m currently testing! It’s a mix of haircare, skincare and makeup, so I’ll get right to it. Starting with the prettiest palette I’ve seen for a while, the Sigma Beauty Brilliant and Spellbinding Eye Shadow Palette. How lovely is it? There’s a lovely mix of wearable, every day shades and a few slightly bolder shades to try out a new look! The pigmentation is wonderful too and they last really well. I adore it and am looking forward to using it a lot. 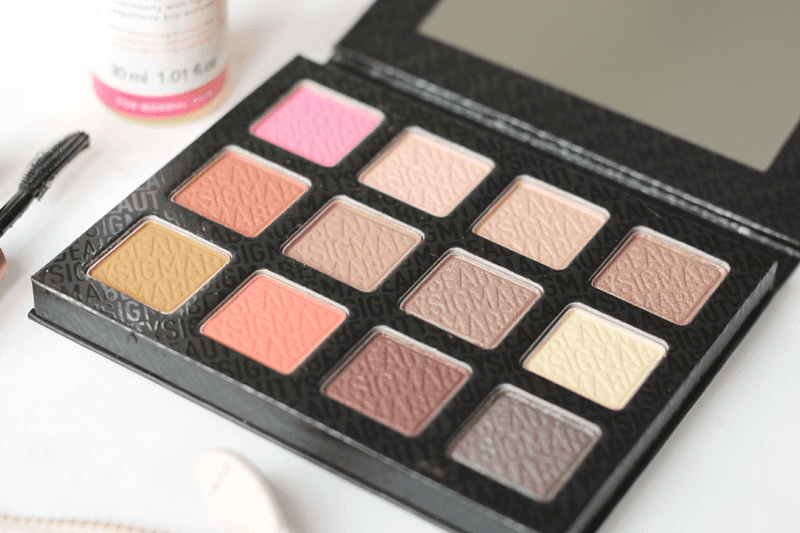 Next is a new release from Benefit which I’m sure you’ll have seen on many other blogs, especially with it being free with Elle magazine this month. 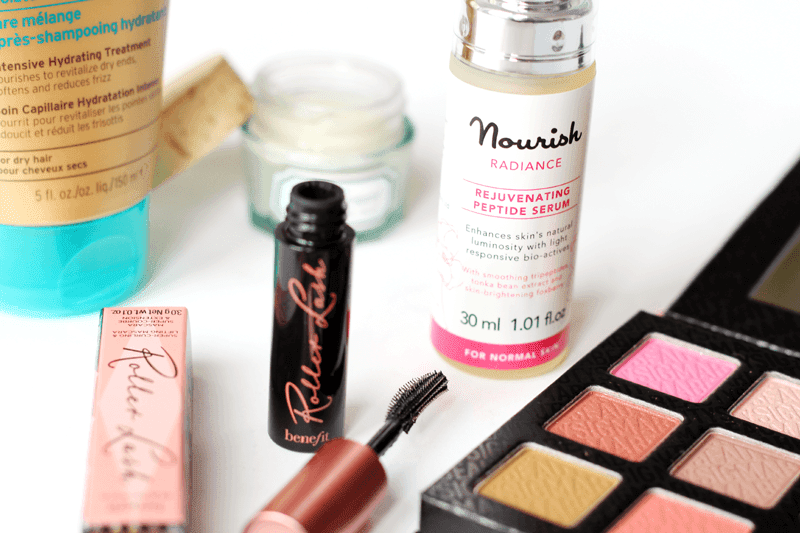 Benefit Roller Lash Mascara is one I’ve been testing and I do rather like it. It lengthens a lot, perhaps to much for my already long lashes hence the marks on my glasses, but if you’ve got short or straight lashes, pick this up! It’s very black, too. Another one from Benefit which I’ve wanted to try for such a long time is Benefit It’s Potent Eye Cream. It’s my first venture into their skincare range and it’s been a positive one! The eye cream is quite soothing, sinks in quickly and is lovely to use under makeup during the day. I’ll test it out to see if it improves my dark circles and report back! Speaking of brightening, the Nourish Radiance Rejuvenating Peptide Serum has been gracing my complexion for the past week or so. It smells like roses (in the best way, not an old lady way) and it’s a beautifully lightweight serum which smooths nicely over skin. It does give your skin a lovely glow too – full review coming up no doubt! Finally, the Ojon Rare Blend Moisture Therapy Conditioner is one I’ve been using when my hair needs a bit of love and care. It’s an intensive conditioner that works in only two minutes to rehydrate your locks, making them feel more healthy and smooth. I really rate this conditioner, as it hasn’t made my fine hair look lank or weighed down!